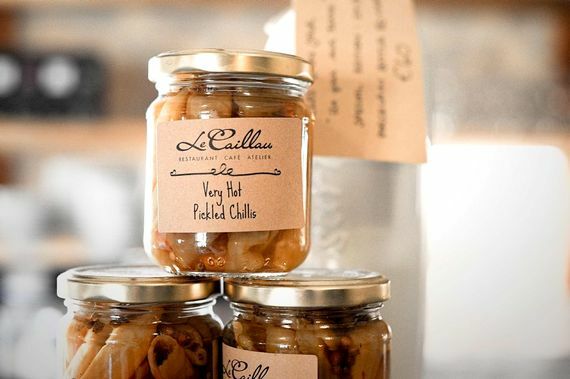 Creative kids and grown-up gastro-travellers are all in for treat at Le Caillau, where a luxurious two-bedroom apartment with heated pool is set alongside a gourmet café and pottery painting ‘Atelier’ all nestled within the scenic Cahors vineyards of South West France. 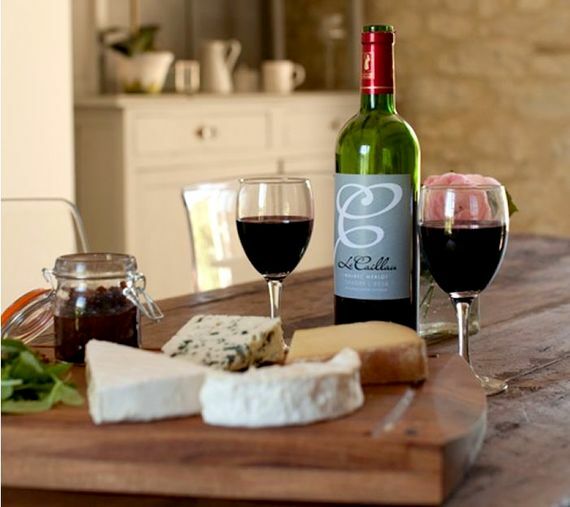 Offering the luxurious gîte for the first time in summer 2011, owners Chas and Caroline have been keen to make guests of all ages feel really welcome from the minute they arrive, with a children’s activity pack including scrap book and colouring pens, plus a cupboard full of essentials including Le Caillau wine, cheeses and chutney, bread, milk, butter and more. The creative workshops are certainly a win win feature, as the pottery painting, colouring, cutting, sticking and ‘junk modelling’ activities will keep youngsters amused while parents enjoy a few precious hours relaxing with a glass of local wine in the beautiful surroundings. 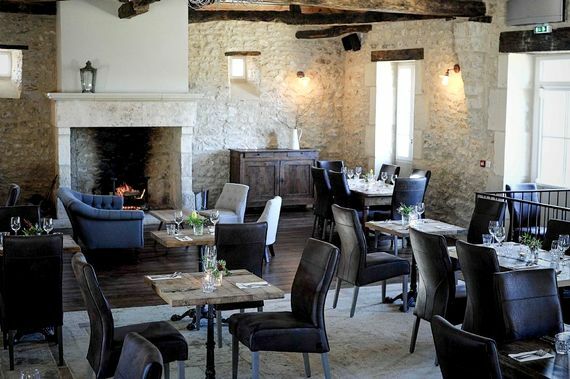 The café restaurant is a big bonus too, from the homemade cakes and pastries to a mouth-watering menu of local and seasonal dishes, accompanied by award-winning Cahors wines. 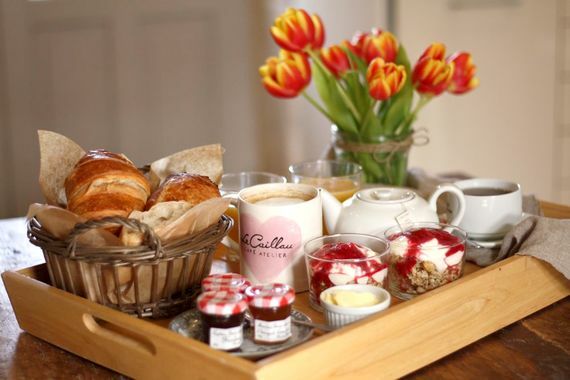 Guests can either dine at the restaurant or have meals at the gîte, plus children’s teas can be provided and a snack service is available, perhaps for a portion or two of frites to go with a bbq. The café and pottery painting workshop really make Le Caillau somewhere unique for families, but the boutique-hotel standard apartment is pretty special too, merging the charming character of a 300-year old winery with elegant, contemporary styling. Exposed walls and beamed ceilings, wood and Italian stone flooring are complimented by carefully chosen furnishings and high quality features, from the home entertainment systems and wi fi to walk in showers and free standing baths. There’s top quality baby and toddler kit too, including a stylish Stokke wooden cot plus two travel cots, 3-wheeler Jane buggy, double Bill and Ted buggy, high chairs, baby bouncer and play gym (see grey box for full list). The air con is a godsend over the long, hot south of France summers and, when the nights get chilly, the gîte has a romantic wood burner. 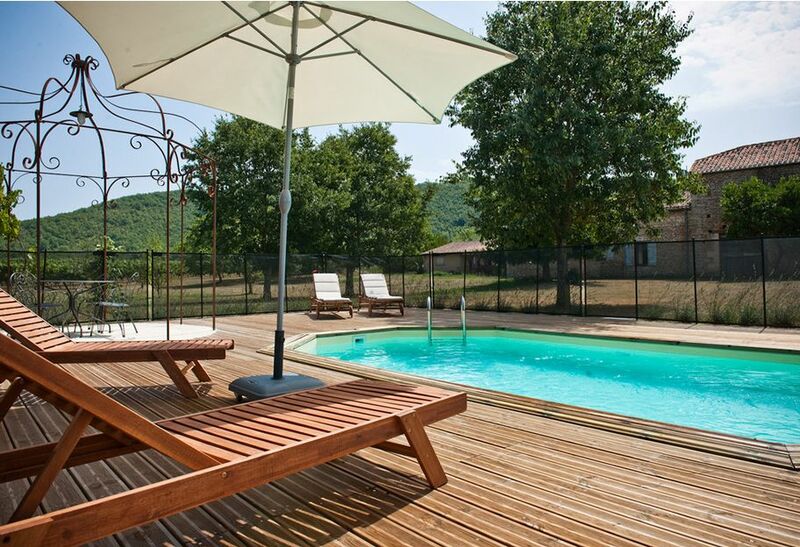 The lovely heated pool with deck and two private terraces provide beautiful places to enjoy a bbq and watch the sun set over the vines while children will be happy to discover a trampoline, swing set, paddling pool and sandpit amongst the cherry trees in the gardens. 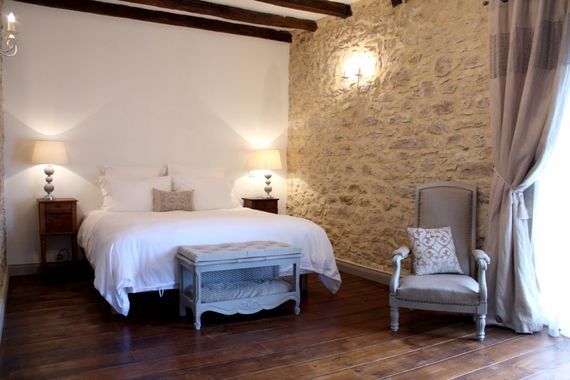 Like a private boutique hotel, Le Caillau is perfect for a family of up to 4, plus babies in cots. The master bedroom has a super kingsize bed and double doors onto a private terrace with superb views across the vineyards then the second bedroom has two single beds. Three cots are available and there is space for these in either bedroom. The living area features freeview TV, DVD player and a music system while the spacious dining area has a contemporary four seater table and a wood burner. The modern kitchen has all you'd expect plus a dishwasher, microwave and double doors onto a private terrace with sun loungers, al fresco dining table and bbq. The bathroom features a large, luxurious bath and walk-in shower with a separate WC. Le Caillau is situated at the heart of the Cahors winelands in the Lot region of South West France. Puy l’Eveque is a the local town for general groceries and practical essentials with a supermarket, bank, petrol station, post office, baker, butcher and several good restaurants. 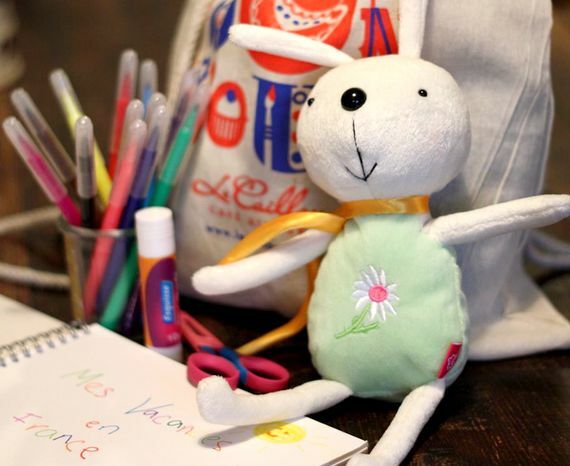 Just 10 minutes drive, Prayssac has a bigger selection of shops and a Carrefour supermarket while, the capital of the Lot, Cahors itself, is only 35 minutes drive. As soon as we first saw Le Caillau in September 2008 we knew that this was the property we had to buy. 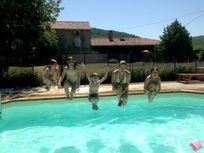 A 300 year old winery set in the heart of the best Cahors vines, it’s a peaceful location yet still close to many small villages and towns with plenty of activities on offer for holidaymakers. Having both worked in London’s fast-paced marketing world for many years, we like a challenge and this is certainly a challenge albeit of a different kind and on a different scale. 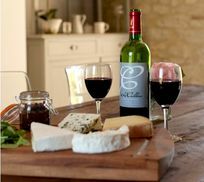 Along with our 2 little girls Evie and Lilah we have thrown ourselves into French life, picking up the local dialect, haggling with local artisans and enjoying far too much local wine and cheese. 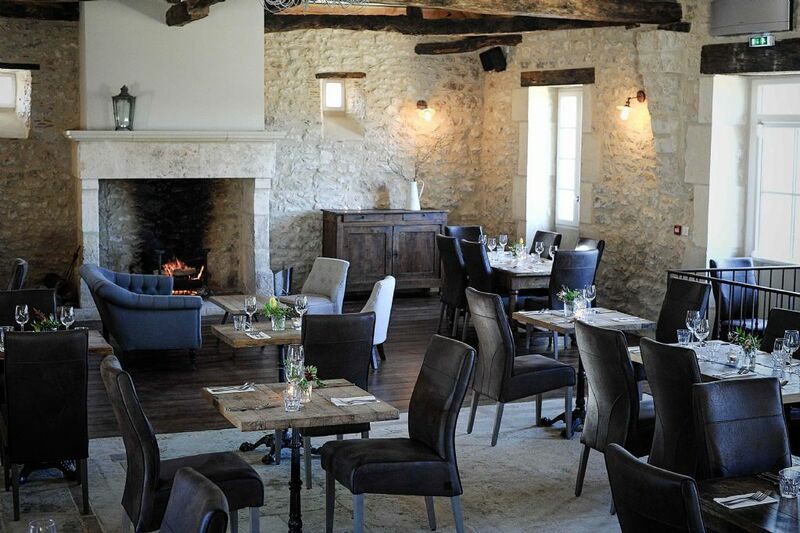 We are in the process of transforming Le Caillau into a unique destination both for locals and holidaymakers and the Café Restautant Atelier plus gite are just the first steps in this process. Le Caillau was love at first sight for us – we think it will be for you too. 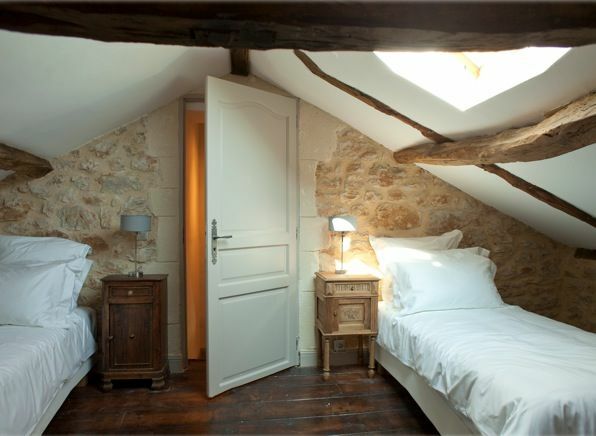 1 x 2 bed self-catering apartment (1xbedroom with super-king & 1 xbedroom with 2xsingle beds). Up to 3 cots available. There is a restaurant and cafe onsite. There's a solar heated pool with large wooden deck around it. It is safely fenced with special child-safe catches. There is a wrought iron gazebo with a table and chairs plus loungers and a parasol. Babysitting is available and day time childcare. 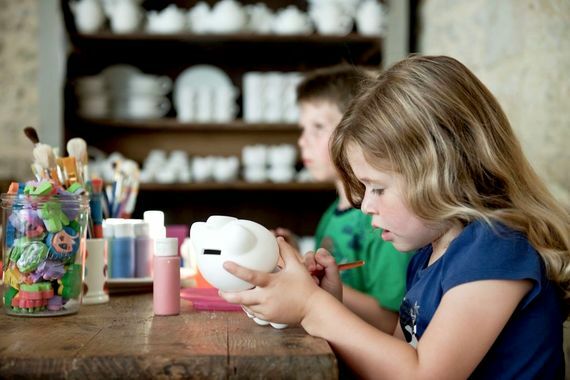 The owners can do pottery painting classes and craft sessions whilst parents relax. Baby gear provided; 1 wooden Stokke Cot, 1 travel cot,2 highchairs, 1 baby bath, baby bouncer, baby play gym, baby monitor, plastic crockery and cutlery along with a 3 wheeler 'Jane'buggy and 1 double Phil and Ted buggy. For indoor play there are general toys, children's books, bath toys and U-rated DVDs. 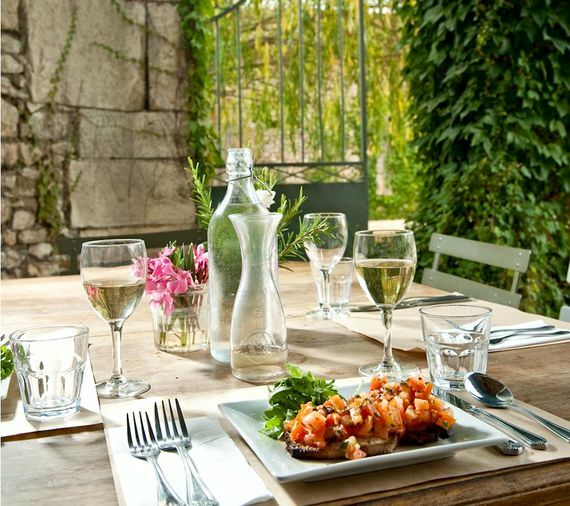 Food from the restaurant can be delivered to the gite to have on your private terrace. For outdoor play there is an enclosed trampoline, sand pit, swing set, paddling pool and a range of small toys. 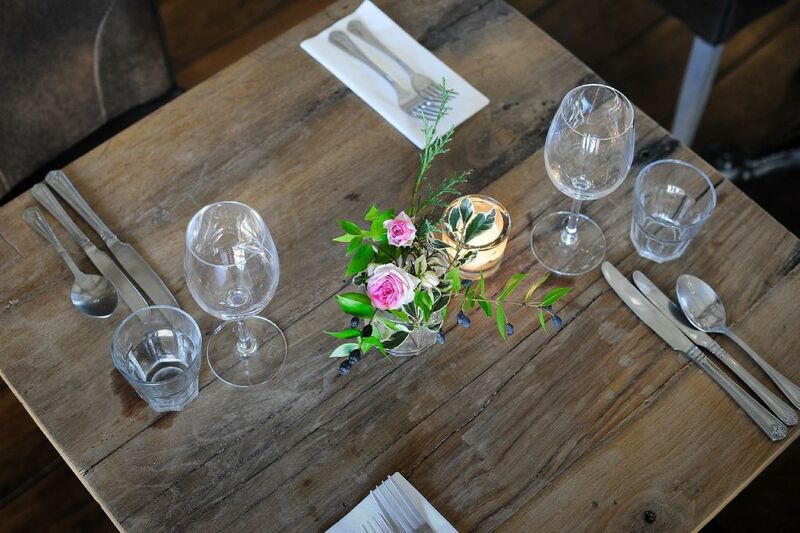 Onsite restaurant serving fresh local produce and a cafe with fresh ground coffee and home made cakes. 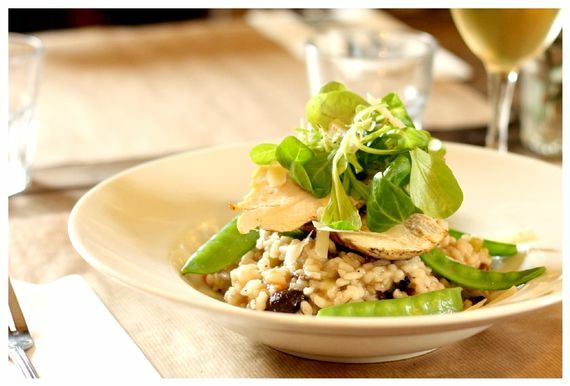 The restaurant is open 6 days a week and 4 evenings a week. There is a private terrace. Mini guests are welcome to help feed the chickens and collect fresh eggs for breakfast. There are also two dwarf goats and a rabbit onsite. 2 cots and 2 highchairs available. Please click the text to scroll through reviews. This is an absolute treasure and I couldn't recommend more for anyone, especially families with little ones. The hosts have thought of everything. The kids room was kitted out with blackouts, bed guards, a cot and heaps of toys on top of the kids gorgeous welcome bags. We also arrived to a stocked fridge and a bottle of wine. During the daytime and the evening, we were completely unaware of customers at the restaurant and cafe. Having good access to them means that you are never far away from a decent coffee/glass of wine/beer, a meal or freshly baked cakes. Kids were completely entertained by access to the pool, trampoline and sand pit. We had one of our best holidays at Le Caillau with our two boys (6 and 3). 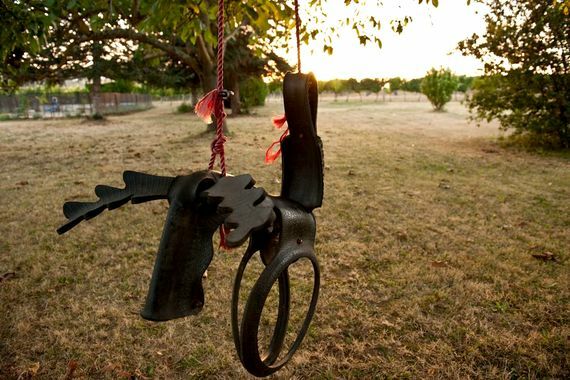 The cottage was luxurious, the gardens and the vineyard and sunset views were immense, the play equipment was a huge hit, but not as popular as the goats, Daisy and Rocky, which we were invited to feed and which were pretty much the highlight of our boys holiday! The pool was heated and although on the smaller side, it was for our sole use so was ideal for a family of 4. 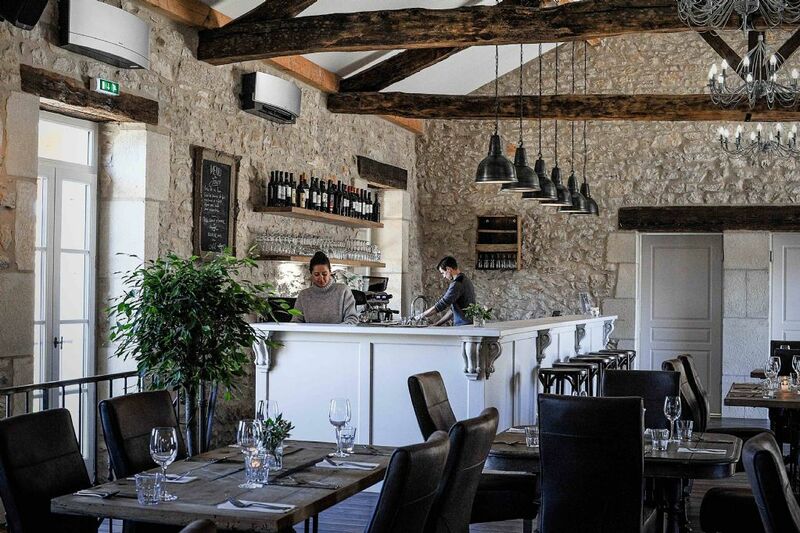 The cafe and restaurant on site were fantastic, a beautiful courtyard for eating outside, and the interiors were done well too, with stunning views over the vineyards. As a vegetarian, I particularly appreciated the imaginative and delicious meals they offered, and my sons ate well from the children's menu. Despite having a thriving restaurant behind the cottage (and you really need to book ahead, it is so popular! ), the cottage still felt private and peaceful. We loved this cottage, and enjoyed exploring the area, including buying a few cases of wine from local vineyards, which were in walking distance and very happy to offer tastings. We would definitely stay here again if we returned to the area. This could not have been better! Glorious rural location surrounded by vineyards. Top notch restaurant on your doorstep. Superbly converted and furnished gite. Oh, did it say it has a private pool. Jackpot! Fabulous week. Loved having restaurant onsite which baby monitor signal stretches to so we could have delicious meals whilst our baby slept next door. She loved all the space to run around in and loved the goats and chickens - feeding them was highlight of her day! Super accommodation, beautifully furnished, peaceful location. Very helpful hosts, useful array of toddler toys, swings, gated pool etc. 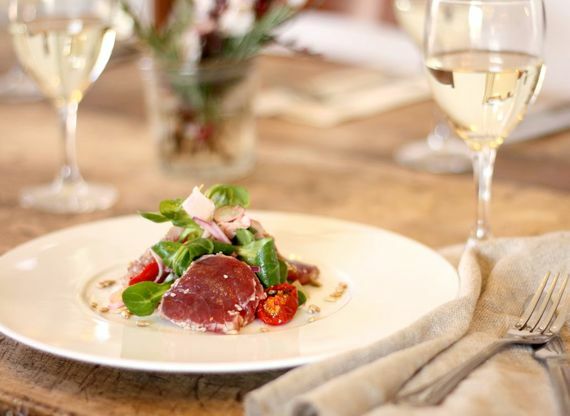 Having a fabulous restaurant on site was a real treat, amazing food and wine, thank you for a great week! Super accommodation, beautifully furnished, peaceful location. Very helpful hosts, useful array of toddler toys, swings, gated pool etc. Having a fabulous restaurant on site was a real treat, amazing food, thank you for a great week! Le Caillai is a little piece of heaven. Chas' calm demeanour adds to the feeling that you have discovered a haven away from the world . Our girls loved the garden, especially the goats and we even managed in a dip in the pool in April. Lovely to have a restaurant standard meal within baby monitor distance. Beautiful location. We just came back from a 5-day break at Le Caillau and it was an absolutely perfect holiday for us and our 8-month old son. The luxury cottage set amongst the vines is gorgeous - spacious and well decorated. We spent the days exploring the beautiful countryside by car and walking, then once our son was in bed, we drank wine on the private terrace, looking over the vineyards and watching the sun go down. 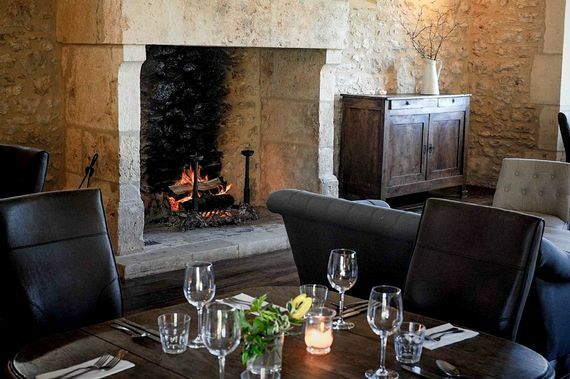 On 2 of the nights, we ate in the courtyard at the on-site restaurant - the food was delicious and it was brilliant to have 'adult-time', even though we were only a few metres from our boy. It was perfect in every way....highly recommend it. Le Caillau provided my wife and I along with our 7 month old boy a fantastic week's holiday. The Gite is set in the most beautiful of surroundings from the old farm buildings, the open courtyard, the vast garden, all surrounded by vines as far as the eye can see. The Gite itself has everything you could need to be comfortable and you always have the choice to eat at the wonderful restaurant, have food delivered or cater yourself. The garden is a real highlight with little ones. The pool provides a great way to cool down and endless fun. 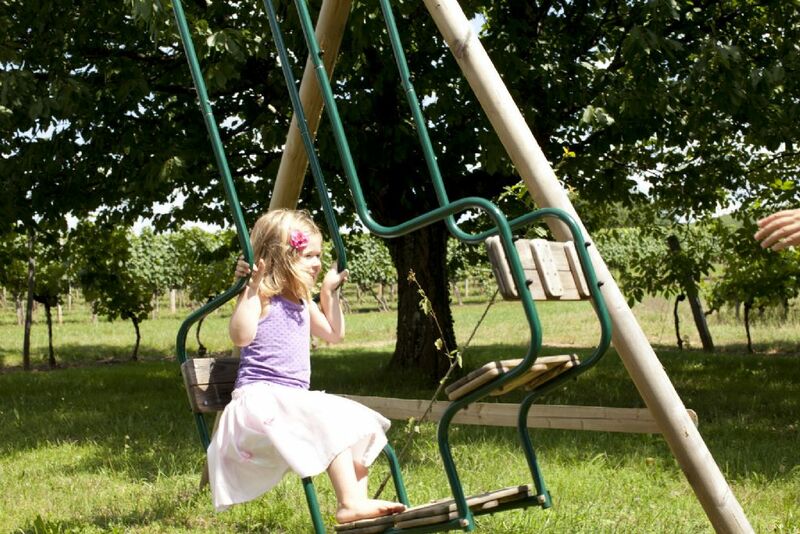 There is also lots more to entertain with the animals, the swings and trampoline. Our baby was a bit young for pottery, but I am sure this is also great. Chas is a fantastic host. Even as we were arriving late on the first night he was in touch and managed to make sure had a welcome food and wine package. He was on hand whenever we needed him with advice or help, but also managed to balance this by not being at all intrusive leaving you feeling like the whole farm was yours to enjoy. The sunsets are truely stunning and one of the highlights was definitely baby asleep in bed and soaking up the last of the sun with a cold glass of wine on the bedroom patio. 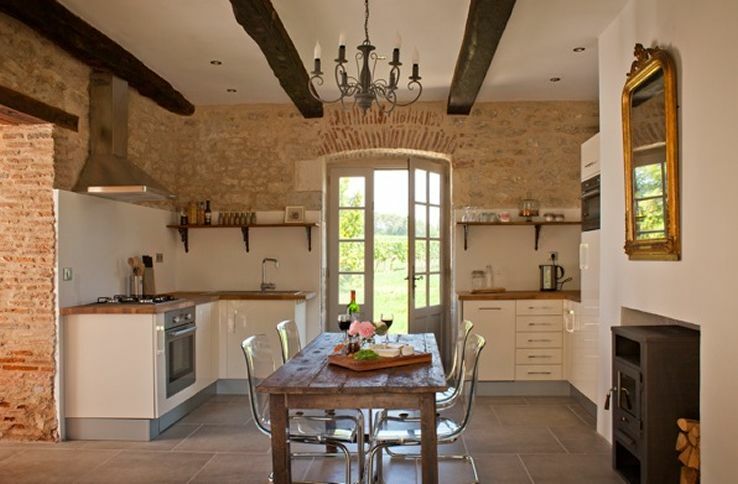 The region itself is very accessible from Bergerac and it is easy to get to nearby supermarkets and villages. Lots of great trips out to be had or you can just collapse. We would definitely recommend it and will be back. Lovely gite in a great location. 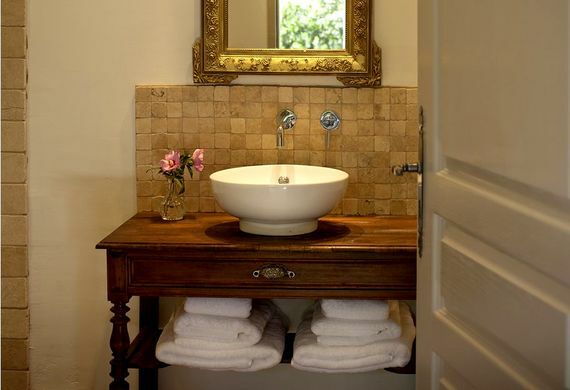 Nicely furnished with good bathroom. Secluded terrace and exclusive use of pool. Also the bonus of an excellent restaurant on site where you can have the food delivered directly to your gite. We had a lovely week at Le Caillau during May half term! Beautiful location, lovely old buildings and plenty for the kids. Chas and Caroline were wonderfully welcoming. 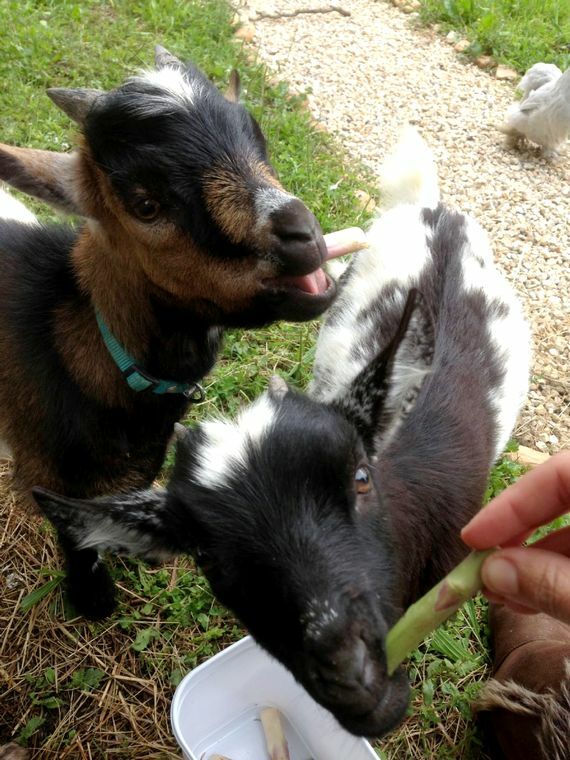 My 2 year old Ben adored the Pygmy goats and the trampoline was a big hit with our 5 year old. Pottery painting was great entertainment on-site on a rainy morning. The cafe had fantastic food and the baby monitor worked in there from the gite so we had some lovely peaceful adult meals some evenings as well! The surrounding area was rural France at its best. All in all we had a truly relaxing week! We had a fantastic holiday at Le Caillau with our 3 and 6 year old boys. The accomodation was lovely and had some great touches such as luxurious towels, bedding and toiletries, a stocked fridge and a great welcome pack for the kids. The on-site restaurant was fabulous - we ate there 3 times and everything was delicious. The ceramic painting was also a brilliant extra activity. 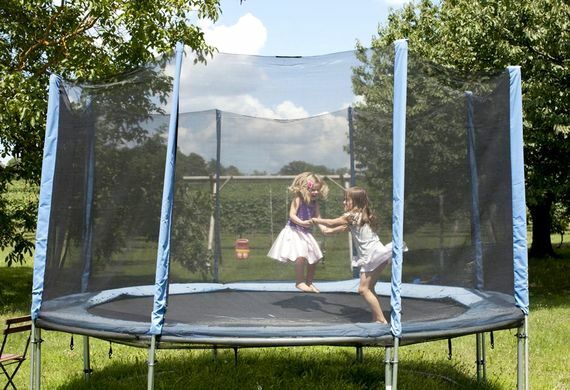 The kids would have happily spent the entire holiday in the garden on the trampoline and searching for wildlife. Such a great holiday! We had a fantastic week at Le Caillau. Our 2.5 year old could have happily spent every day in the sandpit and swimming pool (but unfortunately for him we had vineyards to visit!) Having dinner delivered from the on site restaurant was a huge bonus and the food was excellent. A perfect holiday. We had a very peaceful and relaxing holiday in the lot valley. The Gite really felt like home and there was plenty to keep the whole family entertained including the pottery painting. The cafe on site was good and we ate there a number of times. We were well looked after by our hosts and would love to go back. A gorgeous property and a fabulous holiday rental. We loved the cottage which is both stylish and child-safe. The patio with BBQ are ample, but having a cafe and superb restaurant on site is the ultimate luxury. Perfect for a bit of adult time. Our 2 year old was in her element, exploring the large, enclosed garden with swings, a trampoline, cherry trees and even chickens to gaze at. We visited in mid May and it was a bit too early to use the pool... 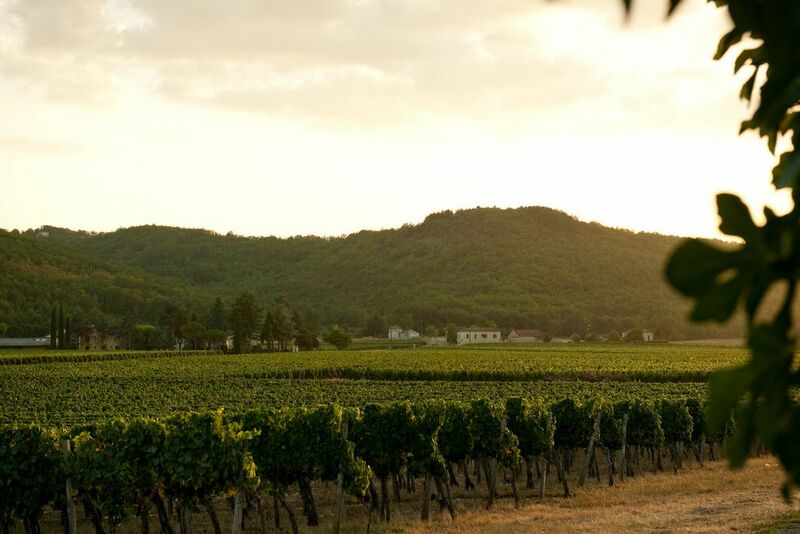 The area has plenty to explore or you can simply head off from your doorstep for a ramble through the vineyards. We had the most relaxing holiday ever at Le Caillau. Chas, Caroline and family were very welcoming, the property was a joy to spend time in, the lovely enormous back garden at the back of the house (complete with fenced off pool, swings, trampoline and sandpit) kept my 2 kids entertained for hours and the onsite Atelier, pottery painting and restaurant certainly took the pain out of self catering holidays! Would definitely recommend to anyone wanting a lovely relaxing time with their family. We've already booked to go back! We had a fabulous week staying at Le Caillau at the start of June with our 2 small kids (8 months and 2 years). 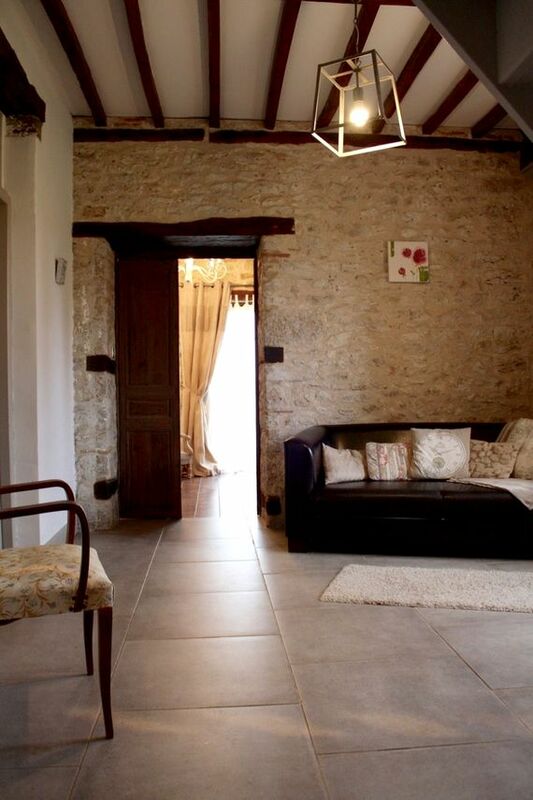 The Gite is fabulous inside - spacious with a lovely modern kitchen and bathroom with loads of room for kids to race around in. The fridge was stocked with some supplies when we arrived and it was fabulous being able to get meals, bread / coffee and icecream from the cafe across the courtyard. The backyard at Le Caillau is wonderful for kids and adults alike - loads to keep the kids entertained with all the play equipment and the pool was wonderful in the warm weather. We had several evenings enjoying meals from the cafe sitting out on our private terrace whilst the kids slept inside. I would recommend this to anyone looking for a relaxing holiday in the Lot region. 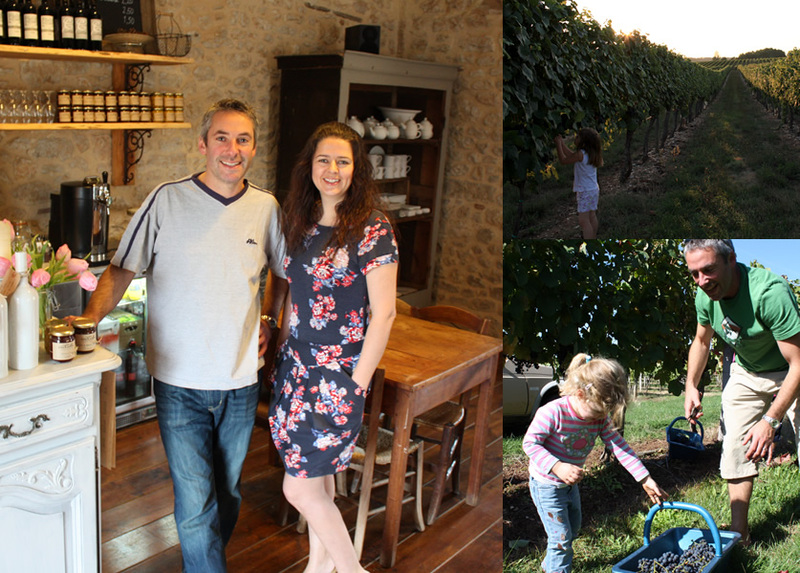 We stayed at Le Caillau in the first week of April 2012 with our 10 month old and had a lovely experience with the friendly hosts Chas and Caroline. We were in contact with Chas beforehand so were able to ask any questions, etc. The welcome was very warm. The apartment was impeccably presented. It was homely whilst still managing to feel like a classy hotel. The various items of baby equipment were available upon request. We were able to use a whole range of things, which were fairly old but did the job absolutely fine and allowed us to travel light. We were able to have meals from the cafe in the apartment twice in the week and it was fantastic. The food was lovely. The pottery painting was a great feature too. 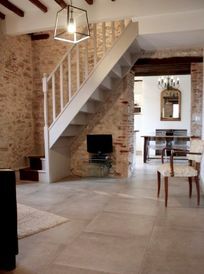 Overall, a really gorgeous apartment in a lovely setting and we were certainly well looked after.? We have had an amazing week at le Caillau with our 20mth old son. A really good place to relax in a beautiful refurbished gite with vineyards as far as the eye can see. We would defiantly recommend this place to anyone (with or without children!). 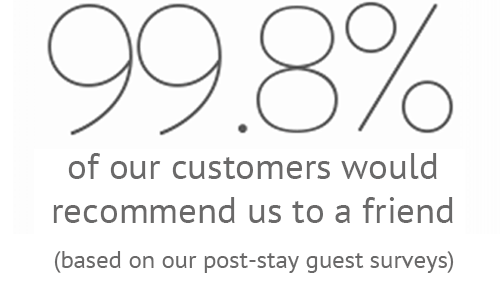 *Ratings by verified BFB guests who stayed here with young children.